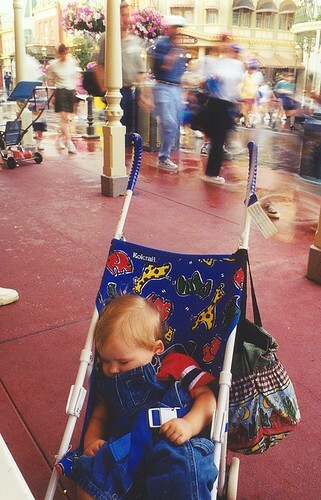 David243 sleeping at Disney, originally uploaded by The Bacher Family. In February 1999, we stopped at Disney World for three days of vacation on our way out of Florida to move to Oregon. After a full day of activity, which David, of course, enjoyed with wide-eyed wonder, he finally fell asleep in the stroller, unable to keep his eyes open any longer. I don't remember for sure, but I must have found someplace to prop my camera for this picture, as the foreground is just too still to have been hand-held. I love the contrast of David sacked out in the foreground with the frenetic activity still passing by in a blur in the background. 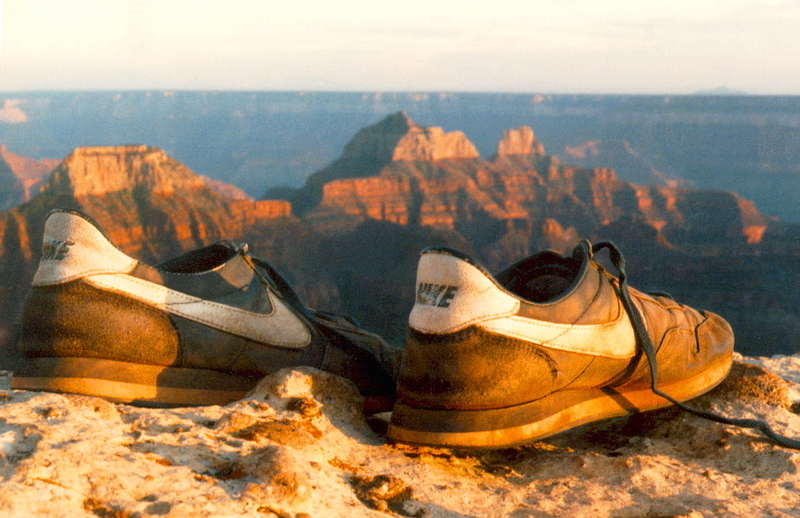 This photo is pre-digital; today, I would have taken several photos, experimenting with different time settings to get just the right amount of blur. Still, it's pretty good for a one-shot experiment!